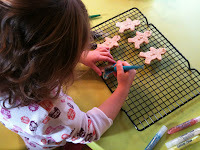 From @BalancingMama: Another preschool craft: homemade bread dough ornaments! 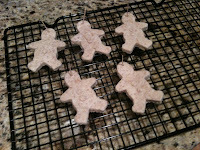 Another preschool craft: homemade bread dough ornaments! The Christmas season also puts us in a giving mood. Amelia loves to create artistic masterpieces to give as gifts to her family. It is our way of saying thanks for all the presents they love to shower on her. This year, we decided to make homemade ornaments. I looked online for a dough idea that would be easy enough for both of us. 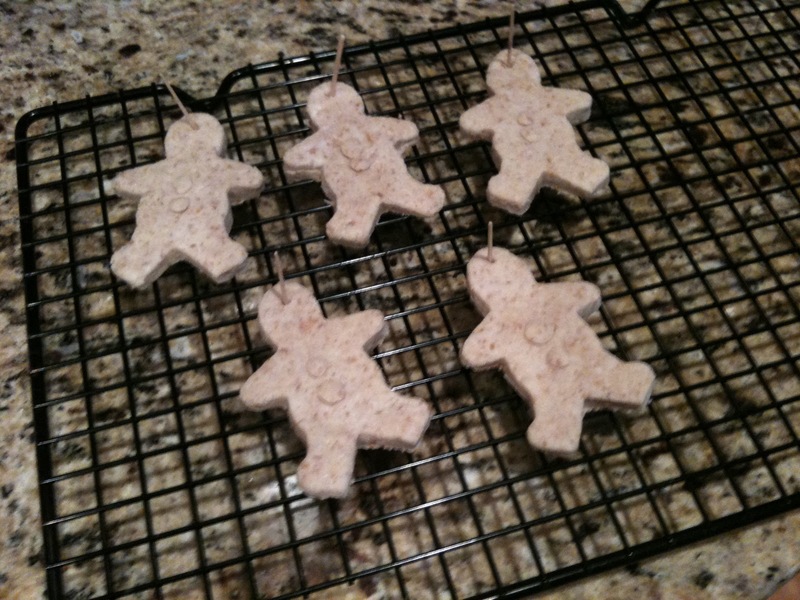 I decided on Bread Dough Ornaments. I selected bread dough over salt dough because there was no baking required. I wasn't keen on the idea of baking something for over 2 hours. 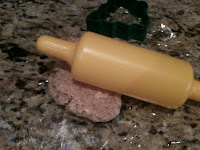 Take 6-9 slices of bread, remove the crusts (simply for color), and place them in a food processor. Process until you have fine crumbs. Pour all the crumbs in a large bowl and add white or clear craft glue. About 1-2 tablespoons to start. Roll out the sticky dough with a plastic Play-Doh roller (plastic is better than a wooden rolling pin because the dough is so sticky), and use cookie cutters to create holiday shapes. 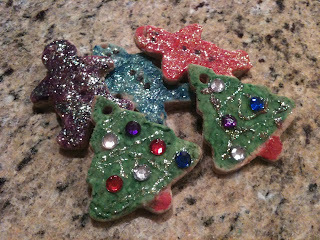 The initial recipe said to dry the ornaments first overnight, but a 3-year-old crafter does not want to wait. So I let her paint the gingerbread man shapes right away using paint pens and glitter glue. Then we let those dry overnight. 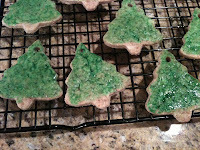 For the Christmas tree ornaments, I decided to try a food coloring wash. 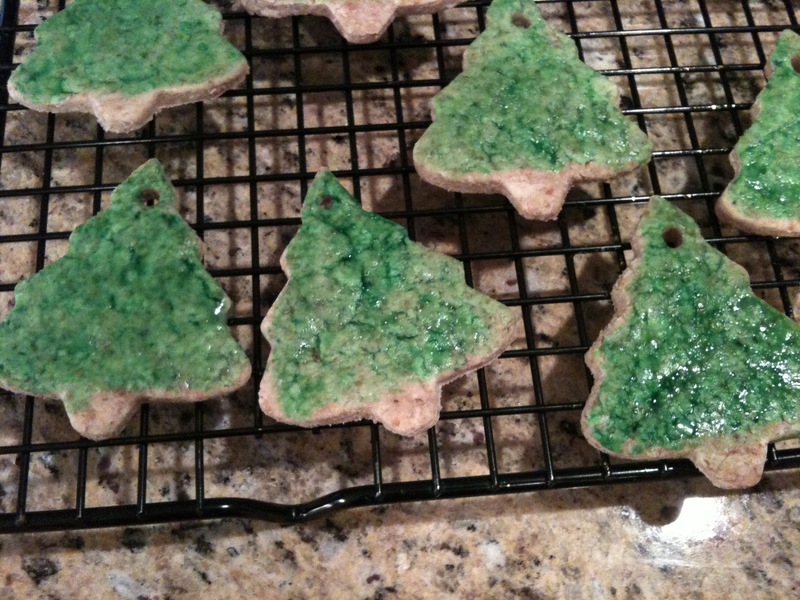 I mixed food coloring with water and brushed it on the trees with a paintbrush. Then I let them dry overnight, and Amelia was able to embellish those the following day. Once the ornaments are fully hard and dry (may even need 2 days), coat them with a layer of clear spray paint to seal them against mold and strengthen them. Finally, tie on a string or ribbon for hanging. All done!